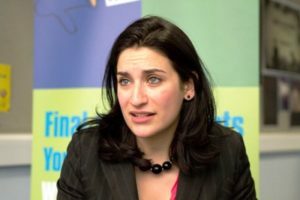 Under-fire Wavertree MP, Luciana Berger, defiantly said she “won’t be cowed” and vowed to “keep on speaking” after allegations she is being bullied by her local Labour Party constituency. Ms Berger received a standing ovation when she appeared to talk at a Remain Labour and Liverpool For Europe joint rally held on Saturday night. In TV interviews at the weekend, Labour’s Deputy Leader, Tom Watson, accused members in Wavertree of bullying and “trying to drive out” Ms Berger after two motions of no-confidence were tabled about her. The motions have since been withdrawn and Labour will now investigate the conduct of the Wavertree branch. The 37-year-old MP has been a vocal critic of Labour Leader Jeremy Corbyn’s stances on antisemitism and Brexit amid a series of rows disrupting the party. She was appearing alongside fellow local MPs, Dame Lousie Ellman, Alison McGovern and Maria Eagle at the Remain Labour rally at Quaker Meeting House in Liverpool One. Speaking on the current UK-EU deadlock, Ms Berger told JMU Journalism: “As far as we are concerned, Brexit is not a done deal. We have an opportunity to fight and stand together as a group. Everyone in this room can see what a disaster Brexit will be for the UK. Liverpool Wavertree Constituency Labour Party (CLP) planned to hold a meeting to discuss two no-confidence motions which accused her of “continually using the media to criticise” leader Corbyn. It was called off after a backlash, with his deputy Watson calling on Labour’s General Secretary, Jenny Formby, to suspend the constituency Labour group. In response, a statement issued on behalf of the Executive of the Wavertree Constituency Labour Party said: “We strongly reject the media inaccuracies and the accusations of political bullying, for simply adhering to party rules and doing our jobs.